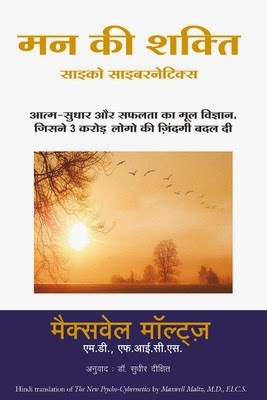 The New Psycho Cybernetics, translated into Hindi as Mann Ki Shakti, is a self-help book by Maxwell Maltz. This updated version of Dr. Maltz’s classic discusses how to achieve life-changing goals through simple steps. It presents anecdotes and examples from real-life success stories, giving readers detailed information about changing their lives for the better. Staying true to Dr. Maltz’s theme about the cognitive behavioral technique of teaching an individual how to regulate self-concept and the cybernetics of Norbert Wiener and John von Neumann, it shows how readers can improve the outcome of their expectations through positive visualization and optimism. Maxwell Maltz was an American cosmetic surgeon and writer, best associated with writing Psycho-Cybernetics: A New Way to Get More Living out of Life, and Doctor Pygmalion: The Autobiography of a Plastic Surgeon. Dr. Maltz studied medicine at the Columbia University College of Physicians and Surgeons.